MEDIA: Contact Reilly Fies, Communications Manager at Hershey Entertainment & Resorts for more information on this announcement or to request images/logos via email at ReFies@HersheyPA.com or call 717-534-3396. HARRISBURG, PA (September 7, 2017) — Hershey Entertainment & Resorts (HE&R) today officially opened the new MeltSpa by Hershey in Downtown Hershey. See all the treatments, packages, and group rates on the web site www.meltspa.com. The day spa services, provided by The Spa At The Hotel Hershey, will encompass a variety of unique experiences such as the exclusive Hershey’s Signature Dark Chocolate Treatments for Hands & Feet, Sugar Scrubs, and Body Wraps. Additional signature treatments and services will include: Hershey’s Cocoa Massage and additional massage offerings, Hershey’s Cocoa Facial and additional facial offerings, Body treatments, Manicures, Pedicures, Hair Styling, Makeup, Waxing, and more. 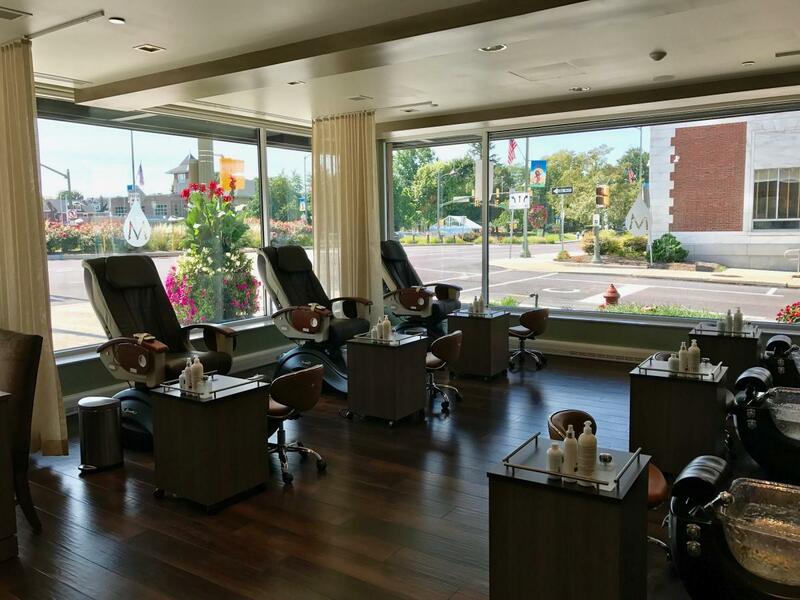 The 7,400 square-foot MeltSpa by Hershey cost an estimated $2 million with a modern design that captures the rich brown hues of chocolate with chic details throughout the nine (9) treatment rooms, locker rooms and relaxation area.